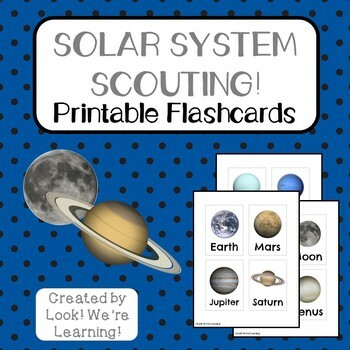 Solar System Flashcards - Solar System Scouting! 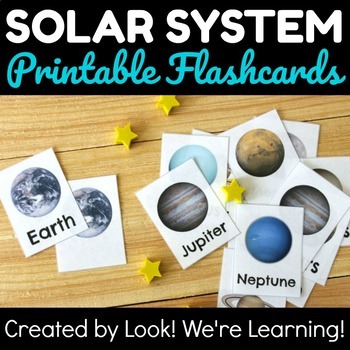 Take a trip into outer space with these solar system flashcards! These are perfect for a hands-on astronomy lesson! Use these to practice memorizing the planets and stars in our solar system or to make a solar system diagram board! Great for science centers too! Love these? Try some of my other flashcards! Go to your My Purchases page. Click Provide Feedback to leave me a quick rating! Every time you leave feedback, you get a credit toward future TPT purchases! Woohoo! Click the green Follow Me link next to my store logo to be the first to learn about new products I share!